A lower SBP goal would reduce events more than a standard goal, but little data is available in which direct comparisons have been made. Studies have shown that treating hypertension reduces the risk of cardiovascular (CV) disease outcomes, including incident stroke, myocardial infarction (MI), and heart failure (HF). The New England Journal of Medicine has published primary results of the Systolic Blood Pressure Intervention Trial (SPRINT). In SPRINT, more than 9,000 patients aged 50 or older with an SBP of 130 mm Hg or higher and at increased CV risk but without diabetes were randomized to intensive or standard treatment. The intensive-treatment group had a target SBP of less than 120 mm Hg whereas the standard-treatment group’s target SBP was less than 140 mm Hg. The primary composite outcome was MI, other acute coronary syndromes, stroke, HF, or death from CV causes. Average follow-up SBP throughout the trial was 121.5 mm Hg for the intensive-treatment group and 134.6 mm Hg in the standard-treatment group. “Overall, intensive treatment resulted in significantly lower rates of CV morbidity, HF, CV-related mortality as well as death from any cause,” says Jackson T. Wright Jr., MD, PhD, who was a member of the SPRINT Research Group. In fact, the intervention was stopped early after analysis by the trial’s Data and Safety Monitoring Board because of strong evidence in favor of intensive treatment. The investigation noted that rates of several serious adverse events were 1% to 2% higher for the intensive-treatment group than the standard-treatment group, with no increase in adverse effects, even in those older than 75. These included hypotension, syncope, electrolyte abnormalities, and acute kidney injury or failure, but not injurious falls. The authors reported that adverse events need to be weighed against the benefits with respect to CV events and deaths that are associated with intensive SBP control. 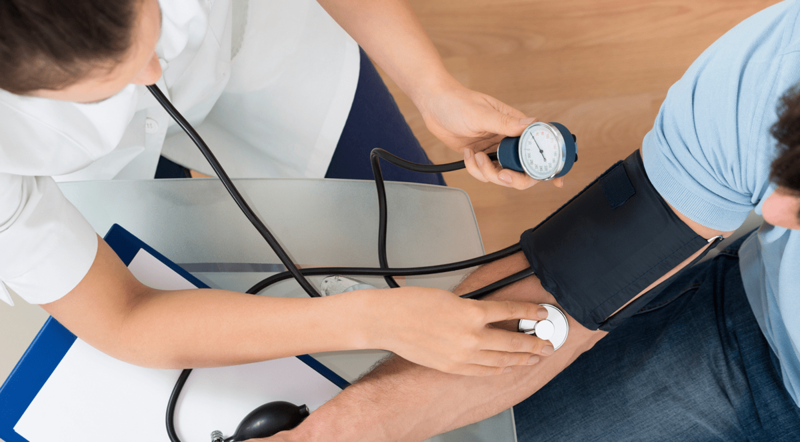 Only about half of people in the general population of the United States have their blood pressure under control, which is currently defined as being less than 140/90 mm Hg. “To control blood pressure to even lower levels—which we did with the intensive-treatment group—is more demanding but appears to improve outcomes,” Dr. Wright says. “Our data add evidence on the benefits of an even lower SBP target than what is that currently recommended in national guidelines for most hypertensive patients.” He notes that efforts are needed to develop strategies to overcome obstacles to achieving these lower SBP targets. Jackson T. Wright, Jr., MD, PhD, has indicated to Physician’s Weekly that he has received grants/research aid from the NIH and, in the past, has worked as a consultant for the NIH, American Heart Association, and American College of Cardiology. SPRINT Research Group. A randomized trial of intensive versus standard blood-pressure control. N Engl J Med. 2015 Nov 9 [Epub ahead of print]. Available at: http://www.nejm.org/doi/full/10.1056/NEJMoa1511939#t=article. Ambrosius WT, Sink KM, Foy CG, et al. The design and rationale of a multicenter clinical trial comparing two strategies for control of systolic blood pressure: the Systolic Blood Pressure Intervention Trial (SPRINT). Clin Trials. 2014;11:532-546. Cushman WC, Evans GW, Byington RP, et al. Effects of intensive blood-pressure control in type 2 diabetes mellitus. N Engl J Med. 2010;362:1575-1585. States: National Health and Nutrition Examination Survey, 2011–2012. NCHS Data Brief. 2013;133:1-8.